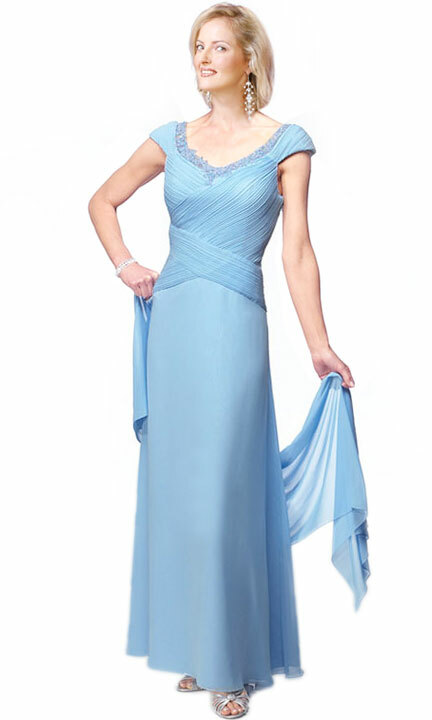 Create your own fashion statement in this iconic prom gown which is bound to make you look classy and stylish. It features a beaded pattern al over the gown making it look exotic and appealing. The beading along the neckline is not only gorgeous but makes the wearer even more gorgeous. The ruched bodice is an exclusive feature.